and Jenner's comments follow mounting backlash that has led to more than one million people signing a petition to reverse the redesign. Snapchat has rejected complaints about the redesign, with founder Evan Spiegel saying earlier this month that users just need time to get used to it. As criticism of the app continues, Spiegel may become one of the highest paid executives in the US. After the company's IPO last March, Spiegel got a $US636.6 million stock grant that will be payable through 2020. 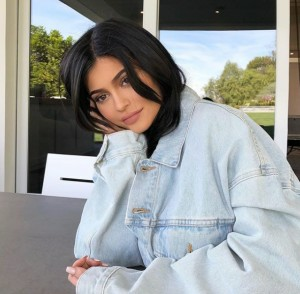 The value of Snap, owner of the Snapchat messaging app, fell $1.5bn after Kylie Jenner announced on Twitter she no longer used the platform. Jenner tweeted to her 24.5 million followers: "Sooo does anyone else not open Snapchat anymore? Or is it just me... ugh this is so sad." But Snapchat's latest venture into ecommerce could redeem the flailing platform as Nike's Air Jordan pre-release on Snapchat sells out in 23 minutes. A collaboration between Nike, Snapchat, Darkstore and Shopify saw Nike create a “holy grail of shopping experiences”, including delivering the shoes on the same night they were purchased. Following the success of the venture, ecommerce could be a focus for Snapchat in the feature and it couldn't come at a better time as backlash continues to burgeon around its recent redesign. Jenner had previously been one of Snapchat's strongest advocates, using the platform daily and singing its praises. She did, though, later tweet a follow-up: "still love you tho snap... my first love". The disappearing messaging app was redesigned in November and Jenner's comments follow mounting backlash that has led to more than one million people signing a petition to reverse the redesign.